A successful home purchase or sale nearly always starts with a good agent or broker. Real estate is a complex and continually changing business, and San Diego agents and brokers are trained and educated in its many rules, regulations and standards. They have the inside scoop on different San Diego, CA neighborhoods and areas and know what constitutes a fair price in the market. Hiring a pro in San Diego, CA also means you won’t have to deal directly with the prospective buyers or sellers, which may save you some tension. Best of Houzz 2014 & 2015 award winner! 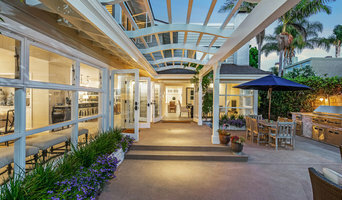 As natives of La Jolla, we have extensive knowledge of the local luxury real estate market. While we consistently strive to exceed expectations, we pride ourselves on having an outstanding reputation for effectively marketing properties and successfully helping clients achieve their real estate goals. This success is in part due to our proactive spirit and keen ability to coordinate the details of today’s sophisticated transactions while managing all aspects of the sale. And of utmost importance is our discretion and privacy when representing valued clients, such as yourself. Our relationship with Willis Allen Real Estate, Christie’s International Real Estate and Luxury Portfolio International provides us access to a worldwide database of highly qualified buyers that seek out luxury real estate opportunities in San Diego ensuring your property reaches the desired target market. You can be assured that your needs will be met at all times. With our goal to provide unrivaled service, the utmost professionalism, and a strategic approach to marketing your property to a global audience, we will sell your home for the highest possible price or help you identify the home of your dreams! Concierge Real Estate Services with SwisherTeam. We represent clients in the selling and buying process of a real estate transaction. Assisting homeowners in preparing a property to list for sale, we help facilitate designers, stagers, contractors, photographers and more. Our experience and expertise will provide both buyers and sellers a superior level of comfort and confidence in the process. 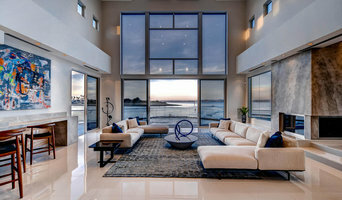 Located within greater San Diego, California, The Luxury and Coastal Group is an elite full service real estate firm that specializes in providing superior end-to-end client service for all buyers and sellers of real estate in San Diego County and has most recently integrated with Pacific Sotheby's International Realty. 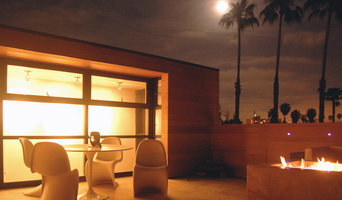 Pacific Sotheby's International Real Estate. Best of Houzz 2015 & 2016! Kelly has an immense passion for real estate and it’s evident. She skillfully serves San Diego's luxury coastal and equestrian communities, integrating her experience in architectural design with her tireless work ethic and uncompromising client service. Kelly's background is unique because she holds a bachelor's degree in architecture and extensive experience in interior design. "I believe each space, whether urban or rural, has it's own energy and purpose. Success is only achieved when you fully understand the personality of the client, the space, and its inhabitants"
Todd Armstrong understands luxury real estate in southern California. From tranquil, private estates along the majestic Pacific coast to historic manors in any of San Diego’s most prestigious neighborhoods, Todd is ready to help you find your dream home. Located in San Diego’s Mission Hills, his team specializes in family residences, condos, and estates as well as the particular selection of modern homes throughout the San Diego metro area’s most desirable neighborhoods. No matter your needs, goals, and lifestyle, you can rely on a professional partner to walk with you every step of the way. Todd’s clients include some of the biggest names in professional sports and music industry throughout Los Angeles, Beverly Hills, Bel Air, Brentwood and Hollywood Hills. His team pride themselves on understanding the unique expectations each client brings to the table. Todd is a seasoned expert who embody integrity, honesty, and discretion in every customer experience. Todd Armstrong and Associates is proud to be part of the Sotheby’s family. Launched in 1976, Sotheby’s International Realty is a long renowned as a marketer of the world’s finest possessions, for their attention to detail, and for their commitment to providing superior personal service. With more than 9,000 associates worldwide, each realtor who bears the Sotheby’s brand is committed to providing a level of service worthy of the Sotheby name. Feel free to explore the website to learn more about the area, our listings, and to start your home search. Please email or give us a call for all your real estate needs. With 10 years of experience as a Loan Advisor, David Pennington takes pride in providing his clients with exceptional service and accurate loan information to fit their personal financial needs. His business background and comprehensive mortgage experience enable him to educate and assist his clients in all aspects of the purchase or refinance of their properties throughout California. His education and professional career have been exclusively focused on examining and understanding the financial industry. At the University of Wisconsin at Madison, David achieved a Bachelor of Business Administration in Real Estate and Urban Land Economics with a minor in International Business and German. He has worked as a direct lender, mortgage consultant and is a licensed Real Estate Broker. David’s experience includes working as a Client Services Representative at US Bancorp Investments where he perfected his customer service skills. This extensive knowledge of the financial industry allows David to determine the best possible strategies and solutions for his clients. David is skilled at finding fast and affordable FHA, VA, conventional and jumbo financing. In addition, for the past three years, he was honored as a 5 Star Mortgage Professional by the San Diego Magazine. All of David’s clients are pleased with their loans, and he has a five-star rating on YELP praising his accessibility, communication and attention to detail. Dave is thankful for dedicated clients and agents. As his business is built entirely on referrals, Dave continues to ensure that all clients have a positive experience. As an young enthusiastic agent who's an expert in the Orange County, I bring a wealth of knowledge and expertise in buying and selling real estate. I have a extensive background in customer service and a Business marketing degree. I am also extremely well versed in sales and negotiation. It's not the same everywhere, so you need someone you can trust for up-to-date information and cutting edge marketing techniques. I am eager to serve you. Here are some of the things I can do for you: Find Your Next Home You need someone who knows these areas inside and out! I will dedicate my time and energy to work with you to find the right home at the right price for you, including all the specific neighborhood amenities that matter - not to mention the essential criteria for you to have for your ideal home! By using technology based resources and inside resources we are able to find the best homes both on and off the market. Sell a Home When it's time to move, you need someone who will advertise and market your home, show to prospective buyers, negotiate the purchase contract, arrange financing, oversee the inspections, handle all necessary paperwork and supervise the closing. We have both national and international marketing channels that will get your home the maximum exposure and attract "top-buyers." My attention to detail and negotiating skills I can take care of everything you need, from start to close. Consult on Home Selling Tactics Oftentimes buyers don't visualize living in your home the way you do. I was a stylist for 10 years and have an diverse styling background and some simple styling tips can make your home visually attractive to its ideal audience - which can help you get top dollar. Things like staging the home, adding décor, making repairs or minor improvements, or even simply painting the walls can be the difference between a home resting on the market to one that's sold fast and for top dollar! 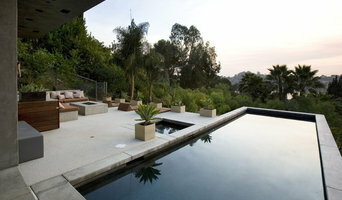 Tom Bashe is a licensed Real Estate Broker and Realtor serving Southern California. Tom takes a hands on approach when dealing with his clients and ensures that he goes above and beyond the call of duty to exceed client expectations. When working with Tom you will find a consummate professional that is attentive to your needs, who understands the ins and outs of the real estate transaction and can properly cover all the variables that inevitably come up during a transaction. Having worked throughout Southern California, Tom has a superior knowledge of many neighborhoods and understands all the variables to consider when buying or selling a home. A native Californian, Peggy has grown with the Southern California area from the boom years of the 1970’s. Being a licensed Realtor since 1996, she has weathered the trends of the Orange County coastal market and beyond through recent turbulent times. As a successful Listing Agent, Peggy’s history shows mastering communication with all involved is key to a successful transaction. Her knowledge of marketing and research gives her an edge in providing her clients the listing and sale information they need to successfully sell their homes. As a relocation specialist Peggy says, “When working with my Buyer Clients, I know and understand the importance of finding the home and neighborhood that is the best fit. I take great pride in making sure all aspects of the relocation process are followed through.” In her first year of being a licensed agent she was awarded #1 agent in her office in both sales and number of transactions! In the years following Peggy has received numerous awards in both sales and listings and has consistently been rated in the top 5% of all agents nationally. I work out of the RealtyExperts.net office in Escondido, California. I manage real property, and I’m interested in modern efficient homes, Old Escondido Historic District homes, residential, multi-family, and fixer upper renovations. The Realty Experts is an independently-family owned brokerage with 5 office locations in Southern California. Realtor with Re/Max Coastal Homes, San Clemente, Ca. Most of my business is by referral, so it is of the utmost importance that each and every experience is a refreshingly positive one for every client. I pride myself on being one who listens closely to what my clients are communicating so as to focus my services most directly to meeting their needs, first and foremost. My goal is to always provide such fantastic service, they are clients for life, and telling their family and friends about me. Completely dedicated, full-time residential Real Estate Broker at Berkshire Hathaway - Laguna Beach. An ordinary Agent is fine to represent an ordinary home however, when you own Architecture only an Agent who is well versed in the intricacies of the design process, not just the sale process, can help you to best maximize your investment. Solidly established as the leader in representing high profile Historic and Architecturally significant properties throughout San Diego County, for over 20 years Elizabeth has proudly represented the work of such iconic Architects/Designers as...Norm Applebaum, J. Herbert Brownell, Loch Crane, Wallace Cunningham, Homer Delawie, Gordon Drake, Russell Forester, Irving Gill, William Sterling Hebbard, James Hubbell, William Templeton Johnson, Kendrick Bangs Kellogg, William Kesling, Sebastian Mariscal, Cliff May, Patrick McInerney, Richard Neutra, Frederick Earl Norris, Herbert Palmer, Parkinson & Parkinson, Richard Requa & Herbert Jackson, Lilian Rice, Lloyd Ruocco, Hal Sadler, Jonathan Segal, Rudolph Schindler, Edgar Ullrich, Emmor Brooke Weaver, John Lloyd Wright and Richard Yen; as well as numerous properties listed on the National Register of Historic Places and/or designated by the City of San Diego as Historic Sites with Mills Act property tax benefits. This unparalleled level of specialized experience and expertise in the purchase and sale of Design oriented houses is Elizabeth's passion. The Louie Ortiz Group is a luxury real estate sales and marketing company that focuses on providing the best client experience when dealing with real estate transactions across San Diego County. Louie Ortiz is a Serial Entrepreneur, Nationally Featured TV and Media personality, Public Speaker, Mentor and Philanthropist. As founder and CEO of the nationally recognized, privately held, real estate company The Louie Ortiz Group, Louie is passionate about helping his luxury residential real estate team and clients achieve their life goals and dreams through the mastery and sales of real estate. Louie has over $100 million dollars in personal sales and leads a dynamic growing team with offices in San Diego, CA, Newport Beach, CA and Santa Fe / Albuquerque, NM. Louie is recognized for being one of the top 15 agents in the United States with Keller Williams Realty in written sales production and number one agent in sold volume for the southern California region. The Louie Ortiz Group’s media and technology based local and international marketing is not only unique and innovative in the real estate industry but gives the groups clients access to an exclusive global network of clientele and contacts. Louie, through his years of business experience and networking, has developed unique personal relationships for media and marketing which include affluent real estate buyers and sellers, investors, captains of industry, professional athletes, celebrities and others. San Diego's Premier boutique Brokerage offering the highest quality diligence and care with all of your real estate transactions. We have helped thousands of home buyers and sellers; including first-time and move-up buyers, investors, sellers of distressed homes and traditional sales. All of our clients are surveyed. We are always striving to go over and above to earn our clients' 10's. Most of our business is from referrals and repeat clients. Our family helping yours for over 20 years.